Did you know that you can help out potential patients and your health professional simultaneously simply by sharing a brief, truthful review online? As an increasing number of people depend on online reviews in selecting a healthcare practitioner, simply sharing your experiences can push someone to finally seek the help they need. Plus, you can facilitate your hearing care provider to address any issues that could strengthen the practice—in turn producing a positive experience for prospective patients. Are you ready to make a difference? Here are four additional reasons you should review your hearing care provider on the web. Numerous hearing care providers have a website with a web page dedicated to reviews, and this is the perfect place to start. Simply navigate to the website, find the review page, and publish a concise review right on the website—all in less time than it takes to make a cup of coffee. According to a 2015 BrightLocal survey, 92 percent of consumers now read online reviews, and 80 percent will trust web-based reviews as much as personal recommendations. Which means 8 out of every 10 individuals will take your review as sincerely as a personalized endorsement. 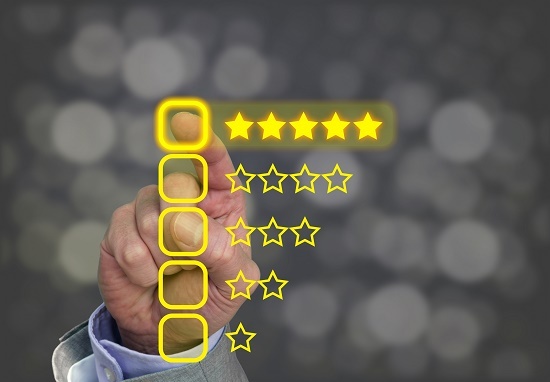 So if you had a pleasant experience, posting a favorable online review is without question the best way to get the message out, encouraging other people to get the same quality of care. Studies have shown that people are drastically more likely to post reviews after a bad experience than after a positive one. This generates a negativity bias that can present the practice in a bad light. No one is perfect—and no healthcare practice is either. Regardless of whether the negative reviews are justified or not, they will likely get submitted. And if the positive experiences go undocumented, this will produce a distorted picture. If you believe the practice is deserving of a good reputation, you can help them out by submitting a positive review. We promote honest, respectful reviews, without consideration to whether those reviews are positive or negative. But we also think that attempting to resolve issues privately is the ideal place to begin. If you’ve had an unfavorable experience, it’s almost always best to first contact the practice in private. Very often, the issues can be resolved whereby both parties are pleased. Although, if the issues were not dealt with to your satisfaction, you may believe that your negative experience must be shared. If that’s the case, in the name of honesty, you may want to submit respectful suggestions that can help the provider improve the patient experience. This ultimately helps the practice and brings about an improved experience for potential patients.